One of my goals during our latest visit to the Tana Delta was to take a break from our usual routine of meetings, village visits, training sessions, and long hours on the road in order to simply observe Una Hakika in action. It seemed like a great opportunity to watch as rumour reports came in and our team of staff and volunteers went into action to verify them, ultimately reporting back to our subscribers with the facts. Fortunately, I got just such an opportunity without even trying one day while we were visiting Mpeketoni, a town where 62 people were massacred during an attack claimed by Al-Shabaab in June 2014. 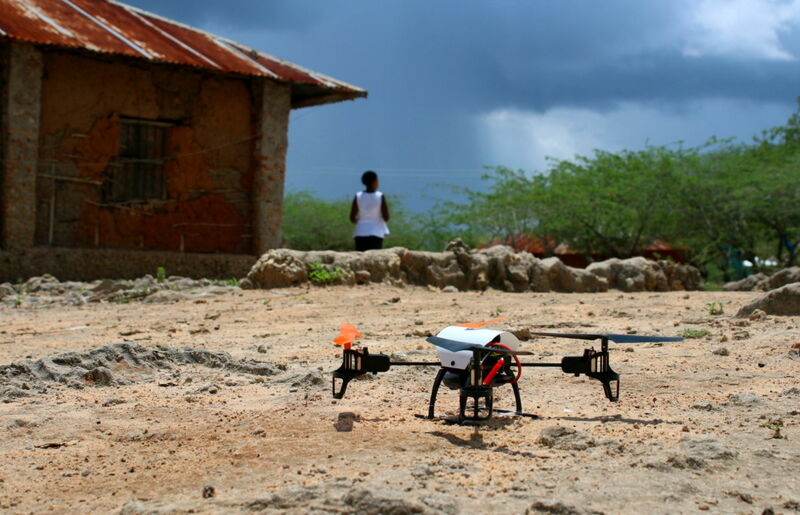 As we sat down to a late lunch and a bit of work, a situation arose that demonstrates the case for two Sentinel Project efforts – our push to expand Una Hakika into new areas and our planned unmanned aerial vehicles (UAVs or drones) for human security. As we sat there on a hot afternoon, mildly curious about the Kenyan soldiers taking a break in the same restaurant, one of our volunteer community ambassadors in the seaside village of Kipini sent us a message reporting that the village of Pandanguo was under attack. This mattered for two reasons. First, this is precisely the kind of rumour that Una Hakika was designed to address and anything related to violence goes straight to the top of our priority list, so it had to be verified as quickly as possible. Second, Kipini was our next destination that afternoon and Pandanguo was along the way, so this directly impacted our team’s security. 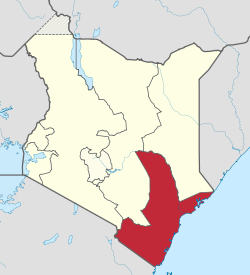 Many of the issues affecting the counties of Kenya’s Coast region are interlinked, especially those relating to conflict. Our work with Una Hakika is usually challenging for many reasons but the Pandanguo rumour presented a unique problem that afternoon because we weren’t actually in the Tana Delta and neither is Pandanguo. Mpeketoni and Pandanguo are both located in Lamu County, which we were visiting as part of our intended expansion of Una Hakika. Since Una Hakika is currently restricted to the neighbouring Tana Delta during its pilot phase, that means we didn’t have any contacts such as subscribers, trained volunteers, or local leaders to call upon in Pandanguo and get a situation report. That would be standard operating procedure for such a rumour report in the Tana Delta but in this case we had to get a bit creative and rely on a contact in Pandanguo recommended by a local partner. Unfortunately, we also ran into issues with relying on a single point of verification since network problems made us unable to immediately reach the person in question. Time is important when countering misinformation but it’s even more critical when a report of violence relates to a region where it has already occurred so recently and there remain credible concerns about more attacks. Una Hakika expansion – We’ve been talking for a long time about the need to expand Una Hakika within Kenya, especially to counties neighbouring the Tana Delta in the Coast region. Many of the issues affecting these communities are interlinked; what happens in Lamu has consequences in Tana, inspiring rumours and fear there, and what happens in Tana has the same effect in Lamu. By operating in many places, we can serve the residents of each one more effectively. Large-scale expansion means better small-scale service. UAVs support rumour management – Many of the use cases for UAVs that we’ve proposed in the past have focused on things like local area surveillance and early warning of threats to communities. However, as people like Patrick Meier have highlighted about our work before, UAVs can also aid with rumour verification. Imagine if that day in Mpeketoni we had even a moderately sized fixed-wing UAV at our disposal. Rather than having to find people to call in Pandanguo or risking a physical visit during a potential attack, we could have quickly flown the UAV there to determine whether an attack was actually happening while also gathering valuable imagery in the worst-case scenario. No more than two hours passed from the time we received the rumour report that day in Mpeketoni to the time we determined that Pandanguo was not under attack. However, in that brief time I saw firsthand a compelling case for the importance of what our team is doing and the need to do it on a larger scale, both in terms of expanding Una Hakika as well as continuing to advance our groundbreaking work on using UAVs for human security.